This past weekend I made some pretty stellar pancakes – they were fluffy, moist and full of warm, comforting flavors and aromas. 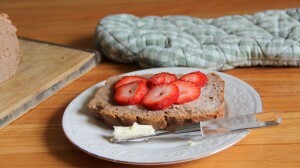 They also happened to be gluten free, vegan optional, and free of any refined sugars. While I did add eggs to the mix, you most certainly do not have to. To top them off, I drizzled them with a simple 2-ingredient date sauce that packs a sweet, caramel-like flavor. 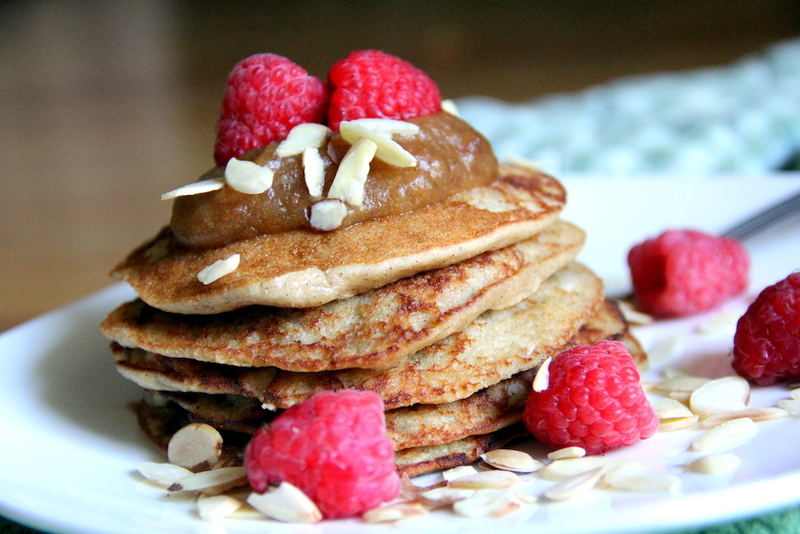 Enjoy these pancakes every weekend and eat as many as you like! 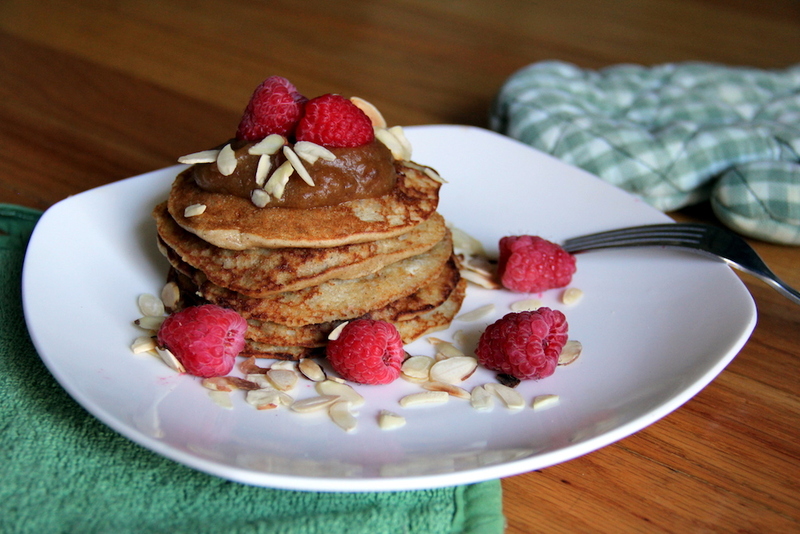 The base of this pancake recipe is almond meal and brown rice flour. 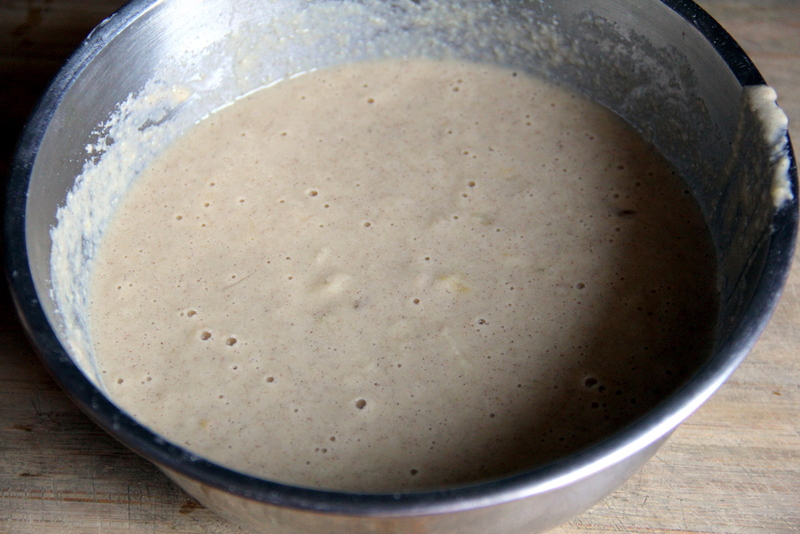 The batter is sweetened with overripe bananas, and that’s it – no sugar, honey, agave, or maple syrup. Almonds: lower LDL (bad) cholesterol, reduce the risk of heart disease, protect against diabetes and cardiovascular disease, have a high antioxidant content, increase flavonoids and vitamin A in the body for heart health, lower the risk of weight gain, and help with energy production. For the date glaze, place chopped dates into a food processor and top with hot water. Let the dates sit there for 15 minutes before adding the vanilla extract and then blending the mixture until smooth. Transfer the date glaze to a pouring cup and set aside. 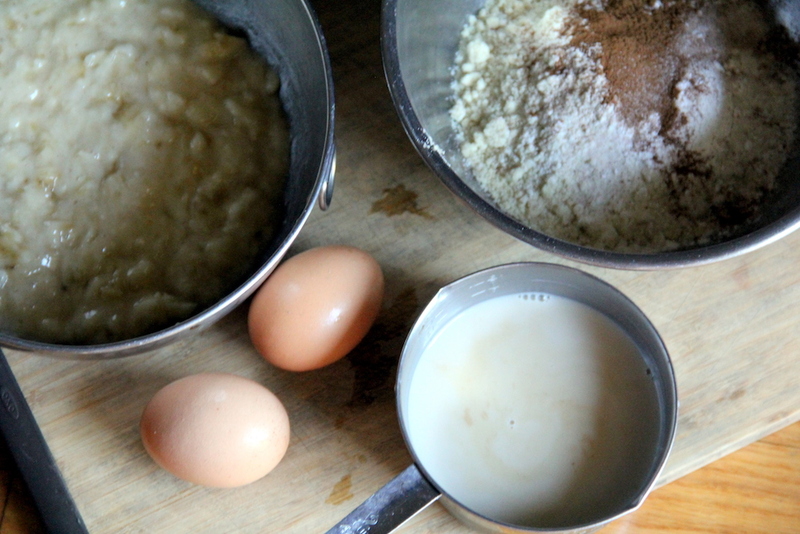 For the pancakes, in a small bowl, mash the bananas with the bottom edge of the fork until it is no longer clumpy. Whisk in the almond milk, eggs, and vanilla. In a separate medium-sized bowl, add the almond meal, brown rice flour, baking powder, cinnamon, and salt. Stir until combined. Add the wet ingredients into the the dry ingredients and fold together until well combined. Grease a griddle over medium-high heat with the coconut oil and drop about one to two tablespoons of the batter onto the griddle, fitting three to four pancakes on the griddle at a time. Let cook for one to two minutes, or until bubbles begin to form on the top of the pancakes. Flip and cook for another 30 seconds before transferring the pancakes to a serving plate. Repeat with the remaining batter. 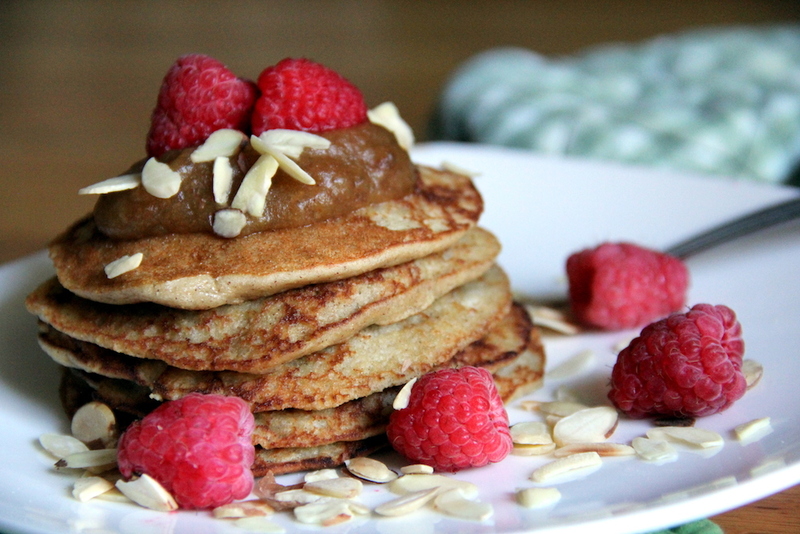 Serve the pancakes with the date glaze as well as fresh fruit and chopped nuts of choice! I’m always interested in noodle varieties that are not plain white noodles. 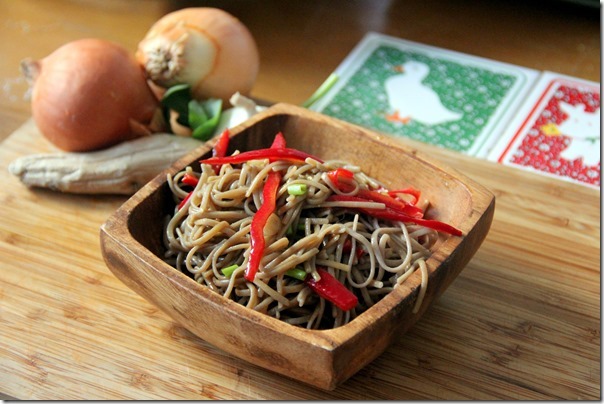 Soba noodles are buckwheat-based, which means they are easier on digestion and introduce new flavors to my palette. This recipe keeps it simple with a few vegetables. Enjoy!